Tom Johnson owns and runs the Birchwood Inn in Lenox, Massachusetts. He says bookings have decreased due to competition from Airbnb rentals. The dining room at the Birchwood Inn in Lenox, Massachusetts. The owner says bookings have decreased due to competition from Airbnb rentals. A view from the window of the library at the Birchwood Inn in Lenox, Massachusetts. Eileen Lawlor and Stephen Filmus at an Airbnb studio apartment Filmus rents out in Great Barrington, Massachusetts. Lawlor rents her house on Airbnb in Monterey, Massachusetts. Linda Bacon started the Canterbury Farm bed-and-breakfast in Becket, Massachusetts, with her husband three decades ago. She says her bookings have declined in recent years, in part because of competition from Airbnb. The land near Canterbury Farm in Becket, Massachusetts, includes cross-country ski and snowshoe trails. Massachusetts recently passed a law governing short-term rentals as a way to level the playing field. The new legislation comes at a time when there's been a big jump in the number of Airbnb hosts in Berkshire County — an increase of nearly 56 percent since 2017. Innkeepers at historic inns are waiting to see what the impact of the law will be. On a recent tour, Lenox innkeeper Tom Johnson led the way into the library — a grand room in the Birchwood Inn, with a huge fireplace and windows looking out on pristine snow. "This was added on. This is the new part of the house, added on in the late 1800s," he said. Johnson and his wife left their corporate jobs in St. Louis as a kind of pre-retirement plan, and bought the inn. Things went well at first. They raised room rates a bit. Their numbers improved slightly over the previous owners. "But then last year was just abysmal," Johnson said, citing competition, like a new Marriott hotel and Airbnb. "If it was two Airbnbs, that wouldn't be competition. There is over 140, 150 or more Airbnbs operating in this area. So, yeah, that’s competition now." County-wide, 1,200 Airbnb hosts welcomed more than 60,000 guests last year. Stephen Filmus has hosted more than 200 guests in the past two-and-a-half years in his home in Great Barrington. "They have a great view outside of the sunrise. And they have a full bathroom, brand new," Filmus said, showing off the apartment in his home, which is decorated with paintings he made of Richmond Pond. The 71-year-old artist taught at Pittsfield High School before building the house, which includes an art studio. "I really needed the space, and wanted to invest in something that would support me in my old age," he said. "And the Airbnb is what’s helping me keep it." Filmus uses the income to pay his real estate taxes and to take care of the property. Eileen Lawlor, Filmus's life partner, also has an Airbnb. She rents her entire house in Monterey. "When you’re in the house, it’s the outside coming in, because there’s glass everywhere," Lawlor said. "It's really peaceful." Seven years ago, Lawlor was injured on the job, and can no longer work full-time. "This pays my mortgage, helps me upkeep the property and actually increase the value of the property," she said. "And it’s been a lifesaver." In the past four years, Lawlor has hosted 488 people from 11 countries. As hosts, she said she and Filmus are advocates for the area, telling guests about dance, music and art events — just as people in the Berkshires have always done. "If they had a garage space or a spare bedroom, they would offer it to the summer people," Lawlor said. "And that short-term rental has been part of the economy for 50, 60, 70 years, perhaps. So, Airbnb is just the newest version of that." In Great Barrington alone last year, Airbnb hosts earned $1.4 million through the site. And in Becket, hosts earned $300,000. That's a lot of competition for traditional bed-and-breakfasts, like Canterbury Farm in Becket, opened by Linda Bacon and her husband more than three decades ago. “If you look straight through that woods, you will find a bridge, and that connects our whole trail system," Bacon said, pointing out the 200 acres that hug the property. Bacon said the B&B and its cross-country ski trails have drawn lots of visitors from New York, Boston and Connecticut. "For 30 years, that trend had been moving up and increasing our room occupancy," she said. "But then all of a sudden, it started going in the other direction." Bacon noticed a significant drop in business two years ago, which she mostly attributes to nearby Airbnbs. She said she went to her town select board, and said if motels and B&Bs like hers have to be licensed and get yearly health inspections, then short-term rentals should, too. "Making an even playing field for Airbnbs and B&Bs and motels, I think, would actually have a better experience for people who come to stay," she said. Bacon's efforts didn't go anywhere. But a new Massachusetts law may make things more fair. It requires short-term hosts to charge state room tax, obtain liability insurance for $1 million a year and register with the state. "I don't think it solves all of the problem," said attorney Jeffrey Lynch, who represents 10 B&Bs and inns in Lenox, including the Birchwood Inn. The new state law gives municipalities some options: They can impose a local tax, and require health and safety inspections. But Lynch said it doesn't clarify the type of inspections that are allowed. "Do they still use a standard for a single-family residential home? Or is it now a commercial enterprise, where then they have to look at a commercial use?" Lynch said. "It may trigger sprinkler systems. It may trigger Americans with Disabilities Act requirements." Airbnb has its own questions about the state law. Andrew Kalloch directs public policy in Massachusetts for Airbnb. "My middle name is Lee, which is named after my mother's home town," Kalloch said. "So the Berkshires is very familiar to me." Kalloch said Airbnb is concerned about a requirement for a public registry of short-term rentals in Massachusetts, including the name of the street and the city or town. "Their registry information, their name and their home address, is online for everyone to see," he said. "And that doesn't serve any public purpose. It violates their privacy." But Kalloch wouldn't comment on whether Airbnb plans to sue the state. In Becket, after watching her occupancy rates drop, Bacon decided if you can’t beat 'em, join 'em. "Last year, I decided to go right along with it, and actually signed up as an Airbnb," she said. But not exclusively. Bacon still advertises on her own website. Airbnb has not made a big difference in Bacon's bookings. So her new strategy? Go back to the old Berkshire way of talking up her place in person, to employees, at places like Jacob’s Pillow, in hopes they’ll spread the word to dancers, students and tourists alike. 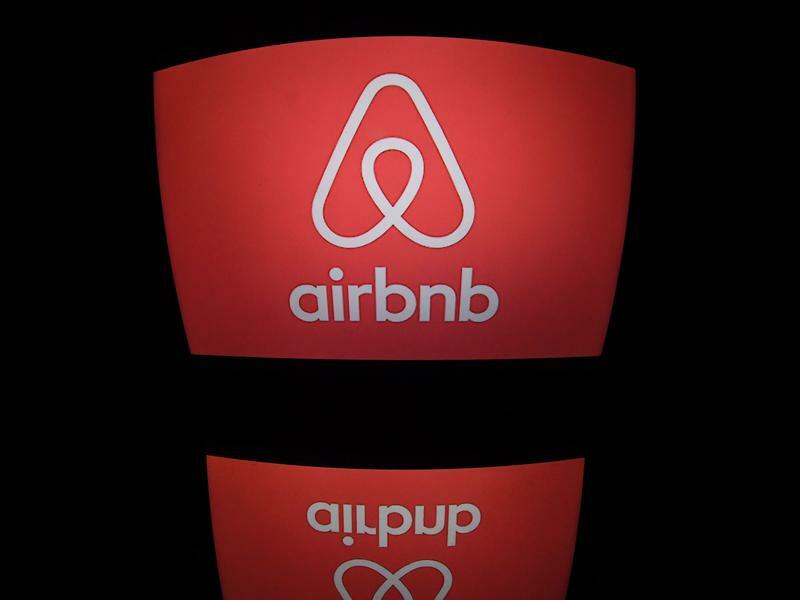 The budget recently approved by the Massachusetts Senate would add a new tax to short-term room rentals such as Airbnb. The company is in favor of the tax, but not everyone is as enthusiastic. The Senate proposal would apply the 5.7 percent state hotel tax to Airbnb-type rentals. Cities and towns would be able to tack on another six percent. Rachael Naismith of Northampton has been renting a room in her home through Airbnb for more than four years, and doesn't sound thrilled with the plan. The city of San Francisco has settled with Airbnb and HomeAway, concluding a lawsuit brought by the two short-term home rental companies by agreeing to new registration procedures for prospective hosts. The case, which had been heard in federal court, hinged on how the companies comply with a recently instituted city law. It appears a commission charged with looking at the future of transportation in Massachusetts will have a representative from Berkshire County. That came after stinging criticism from some western Mass. lawmakers.